When Donald Trump was elected President in 2016, irascible U.S. comedian Lewis Black declared angrily that thanks to that event, he was now out of a job. What he meant was that the ascendancy of a blustering real estate mogul and television personality to the presidency was so inherently ludicrous that it required no further comment by comedians. Of course the Trump incumbency has provided the entire fraternity of American chat show hosts with opening monologues for over a year but most would admit that making fun of the orange oligarch has required little more than a straight recital of his latest pronouncement. Long before Trump, though, many comedians had come to regard satire as no longer viable as a comedic form. In a time when people use the power of the Internet to post photos of their lunch, a representative of a motoring enthusiast group can be elected to the Senate and people are watching other people on television getting married for money or eating insects in the jungle, reductio ad absurdum has been rendered redundant. We now live in a trans-satirical age. 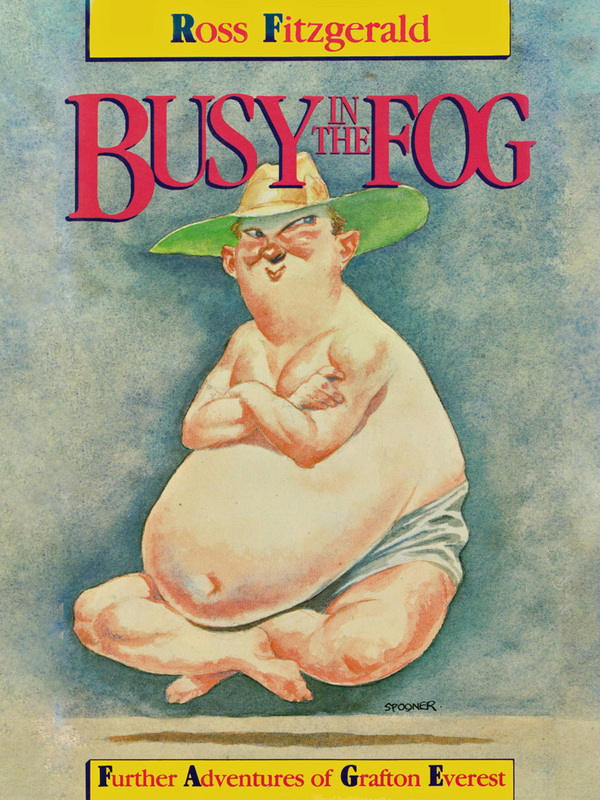 In the publishing world however, satirical novels have been thin on the ground. It is surprising therefore that one of the few examples of the genre should have spawned a franchise that now extends to six books. 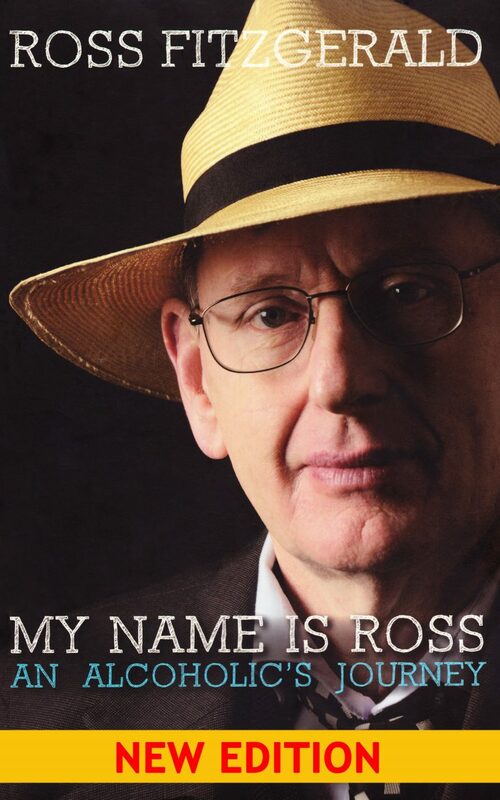 The Grafton Everest novels came into being in the Eighties when Queensland history professor Ross Fitzgerald was threatened with charges of criminal libel by the Bjelke-Petersen government over his historical writings. Fitzgerald’s response was to write a novel about a fictitious history professor living in a fictitious corrupt subtropical state called Mangoland. The novel alleged the same things as the historical accounts but in the form of a bawdy, picaresque adventure. The government was, of course, powerless to claim libel unless they were prepared to prove in court that they were the corrupt parties referred to in the book. 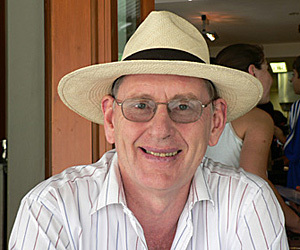 Since then, subsequent instalments have seen the indolent, indulgent professor progress from university don, to State Premier, to a senator holding the balance of power in Canberra, not making, it should be noted, any effort at any stage to cause these things to happen or even comprehending why they did. This journey has widen the playing field from the machinations of a political and intellectual backwater called Mangoland to the national arena. The wider canvas has also drawn in a wider collections of artists. Over the latter part of the series, author Fitzgerald has enlisted other writers as collaborators, giving the books a sense not unlike a movie franchise or a sitcom. At this point I must disclose that my interest in the books is not a disinterest. I was the co-author of number 5 (‘Going Out Backwards’) published in 2015 and hence have a paternal as well as a critical interest in its successor ‘So Far, So Good’, written by Fitzgerald with ABC Radio National presenter Antony Funnell. This latest volume, published in May, continues the descent into the socially bizarre begun in its predecessor. The University of Mangoland is now Excitement University, circus clowns are defamed as terrorists only to be later identified as a marginalised group and Grafton is touted as a future president of Australia after his clichéd homilies go viral on Facebook. This instalment, however, widens the ambit considerably by taking Grafton to London where he becomes entangled in a plot to take the U.K. back to pre-Magna Carta days. This is a significant step for the series since, thus far, the books have clung to the old adage that satire, like charity, begins at home. The move opens up new fields for political comment by moving its pudgy protagonist, his long suffering wife and air-head activist daughter onto the international stage. It is a logical progression for the satirical project and one that also make sense given the Grafton Everest books are generally better known overseas than in Australia. The change of location also means a change in the primary target of the satire from the faddish initiatives of the Australian educational and political sectors to the darker intrigues of Britain’s class-bound society. Antony Funnell who, as the presenter of Radio National’s ‘Future Tense’, has presented programs on such topics as the blurring of the line between reality and fantasy, the corporatisation of the universities and the connection between depression and social media was clearly a good choice of collaborator in this widening of the scope of the novels. The benefit of writing satirical novels is that the world never stops throwing up new things requiring to be lambasted and thus a series of books like this could potentially go on for generations. And I’m now wondering if this is why Professor Fitzgerald has recently taken to working with co-writers. Perhaps he is grooming successors to take Grafton through to the end of the century. There is however one disturbing thing about the books and that is that they exaggerate the irrationalities of the modern world to the point of absurdity – but only just. The problem with satire is not only that it is hard to invent anything more deranged than the real world but that, even if you do, there is a disquieting sense that it will not be long before the thing that you have invented, a thing that is too stupid to ever be taken seriously, will actually come true. 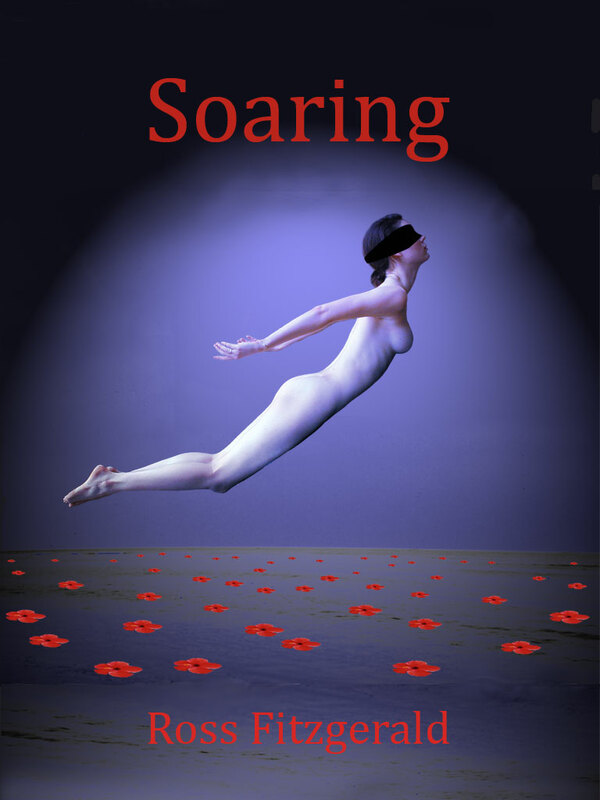 As the title itself implies, ‘So Far, So Good’ has ominous overtones that the worst is yet to come. Ian McFadyen, Australian Books,’The Spectator Australia’, 5 May,2018, p xii. 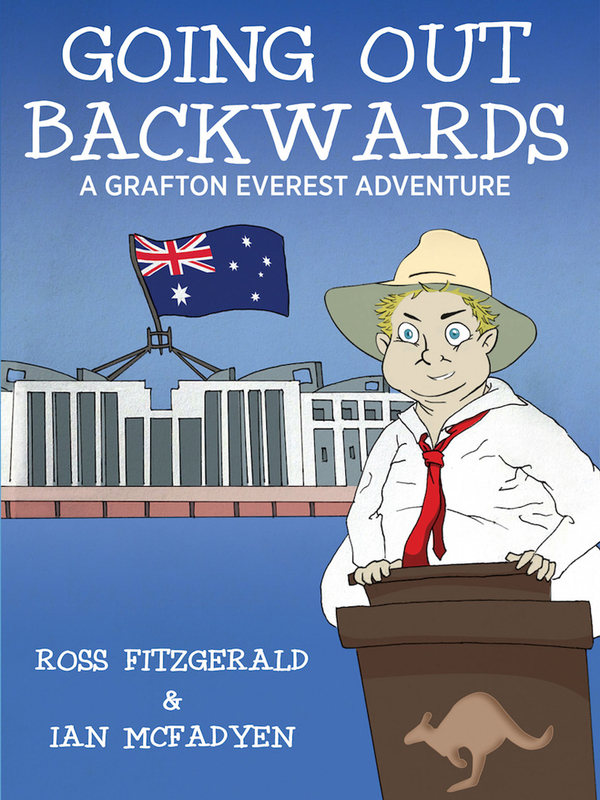 The previous Grafton Everest adventure, ‘Going Out Backwards’, was shortlisted for the 2017 Russell Prize for Humour Writing. 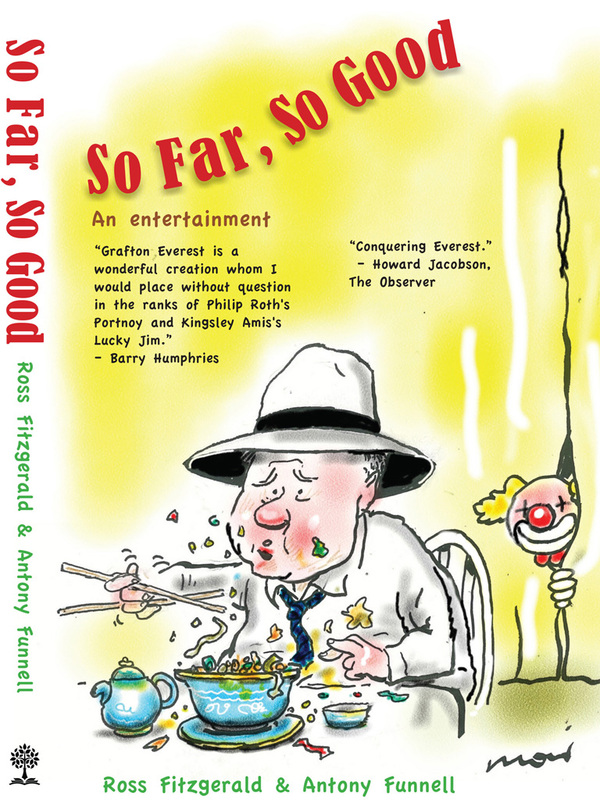 ‘So Far, So Good – An Entertainment’ will be launched at Avid Reader Bookstore, 193 Boundary Street, West End, Brisbane from 6pm to 8pm on Thursday May 10. Steve Austin from ABC Drive in Brisbane will be the MC. The May 10 event is free, but those wishing to attend should ring (07) 3846 3422 or register at avidreader.com.au.